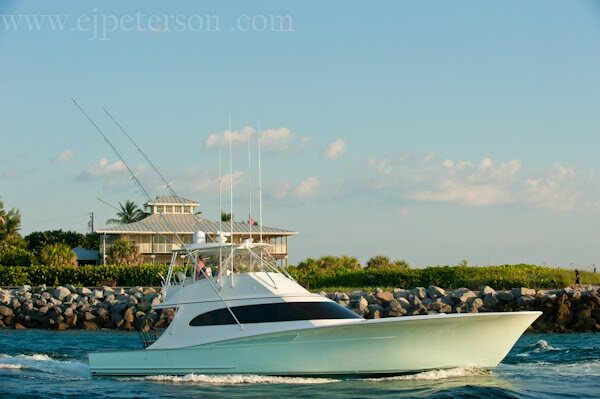 Fifteen miles offshore of the Palm Beach inlet swordfishing,the Penn international 70vs was our choice for the tip rod. 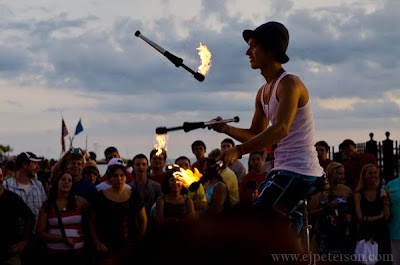 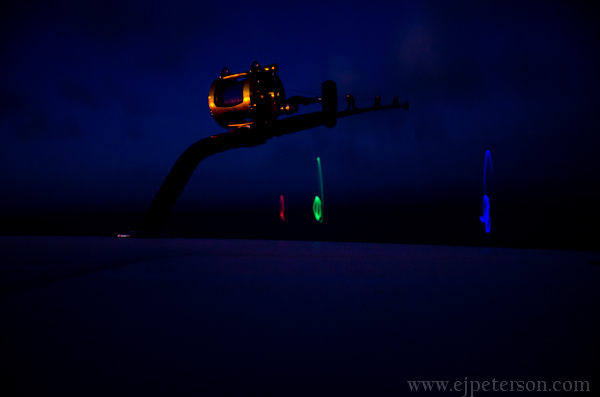 In the backround are the lights marking our other three lines set at different depths. 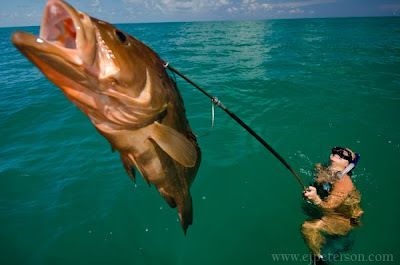 My sister and her first speared fish, a 25 inch red grouper. And of course it was an absolute kill shot, Good work Trina! 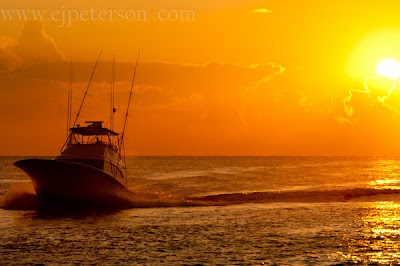 The Sea Check heading back out the Jupiter Inlet after the shotgun start of the Bluewater babes fishing tournament. 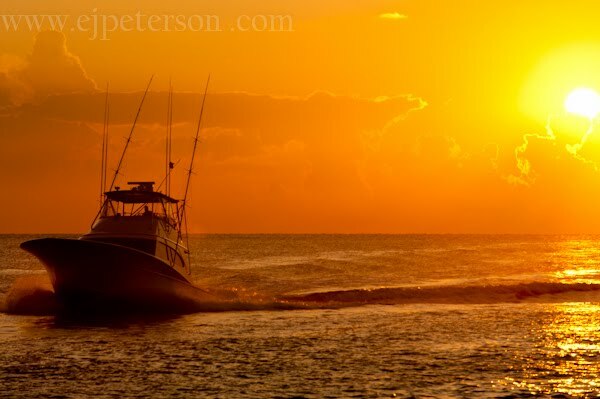 The Sea Check coming in the Jupiter Inlet for the shotgun start at the Grand Slam bait and tackle ladies fishing tournament.